Riot Games revealed the team lineup for the newly-rebranded European league, which will premiere January 18. It’s group of esports organizations with fan support from around the world, and naturally includes some of Europe’s top talent. The rebrand from EU LCS to LEC, the league says, is meant to help re-energize League on the European continent, and it promises to create “the most exciting live and broadcast experience yet” for League of Legends’ millions of fans and players. The LEC is keeping the EU LCS’ logo – the stylized crown composed of two arcs of the north side of a sound wave, but the title itself is more concise and snappy. The ten teams selected for the newly-rebranded league’s inaugural season represent esports organizations that are all well-known in professional gaming. Each organization invested between €8-€10.5 million, ensuring players have competitive salaries and some career stability. Winnings will be split three ways: players will collect 35% of all profits, with teams and Riot collecting 32.5% each. Rogue are perhaps standouts here – they’re an esports organization backed by Imagine Dragons and EDM musician Steve Aoki. 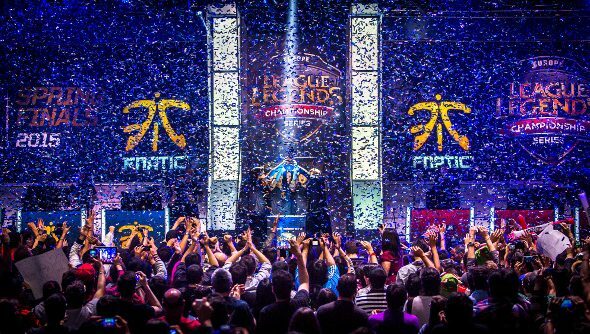 Fnatic was a finalist in this year’s tournament, in which G2 and Vitality also competed. And Misfits were strong competitors in last year’s tournament, rising through the EU Challenger Series and eventually giving League’s best-ever team SKT a run for their money. The League of Legends European Championship will premiere January 18, 2019.